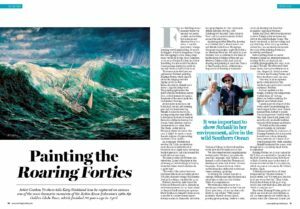 The latest [May, yes May] issue of the prestigious Yachting Monthly is out now with the double page article on my painting named and owned by Sir Robin Knox-Johnston “Roaring Forties”. 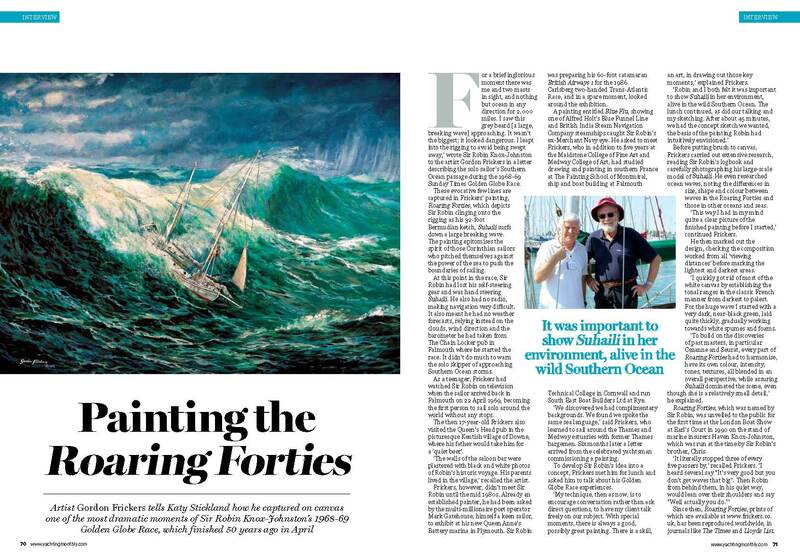 If you have one or more of my paintings and or prints it is a good idea to buy and put by a copy of the May Yachting Monthly and keep it near the picture. This ‘cunning plan’ can add interest and value to your artwork ! This entry was posted on Saturday, March 30th, 2019 at 11:56 am	and is filed under Artists with artists, diary, Marine Art. You can follow any responses to this entry through the RSS 2.0 feed. Both comments and pings are currently closed.